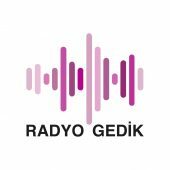 Radio Gedik is the first corporate internet radio project of Turkey. The project aims to boost employee motivation in Gedik Holding, Turkey’s biggest welding company and the founder of Gedik University. Beside combining Gedik Holding’s fields of business activity like industry and education on a unique platform, Radio Gedik also targets the world that surrounds the company. Therefore this project can also be named as an “inner and outer communication platform” of Gedik Group. Radio Gedik with its unique features, is also a new media platform that brings radio as a conventional media with technology. With its well qualified broadcasts Radio Gedik is an everyday live radio station, also powered with podcasts, multimedia and mobile platforms.